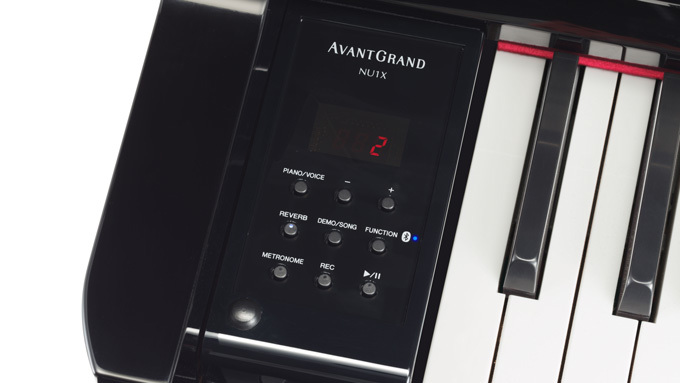 Yamaha have just revealed the successor to the remarkable, award-winning AvantGrand NU1… the NU1X. The brief Yamaha gave their designers for the original NU1 was “produce an instrument that is closer in sound and feel to the acoustic piano than any other”. This they (arguably) did. The NU1 launched in 2013 and was widely acclaimed as the best compact acoustic replacement. 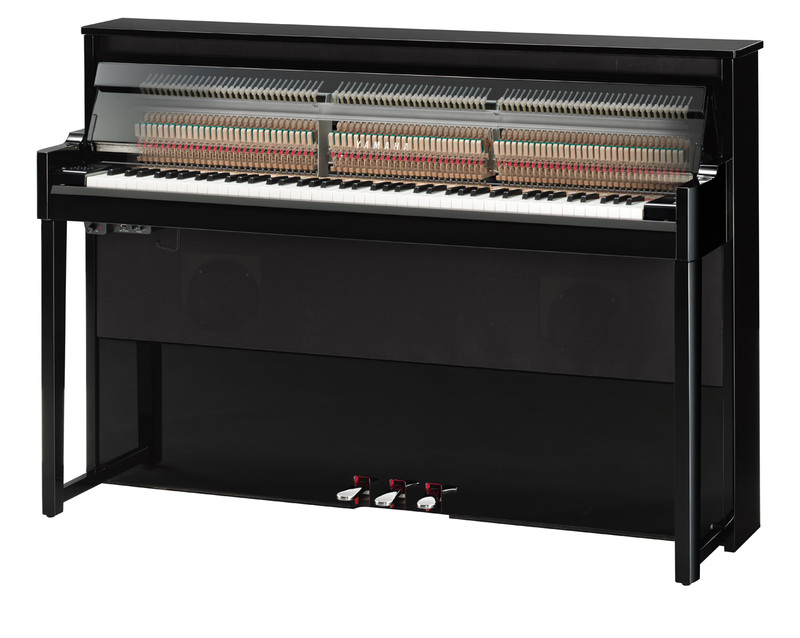 The NU1 owed a lot in its design to the Yamaha U1 upright piano, which is supposedly the most popular acoustic in the world. It has been in production for 60 years, so maybe that’s not so surprising! Anyway, it’s four years on, and Yamaha have taken it upon themselves to upgrade the NU1. The most significant enhancement is the addition of the Bösendorfer Imperial Grand profile. The NU1 features a meticulously sampled Yamaha CFX concert grand piano, and this is now complimented by a replication of possibly the most mellifluous production piano ever. The original (acoustic) Imperial Grand (also known as a Model 290) has an eight octave (97 note) keyboard, that’s 9 notes more than a standard acoustic piano. These notes are at the bass end of the keyboard and these keys all have a black finish. This prevents confusion for pianists who may not be used to such a wide compass. These extra notes, even when not being played, contribute to the Imperial’s warm rich timbral qualities through their sympathetic resonance. This is particularly apparent when the damper pedal is pressed as corresponding overtones are introduced by the Virtual Resonance Modelling (VRM) algorithm, adding to the experience. Yamaha owns Bösendorfer, so there are no trade mark issues here. You won’t see these presets described as “Austrian Piano” or “Japanese Piano”! Other sampled instruments include the Yamaha’s C7X grand and their SU7 upright. 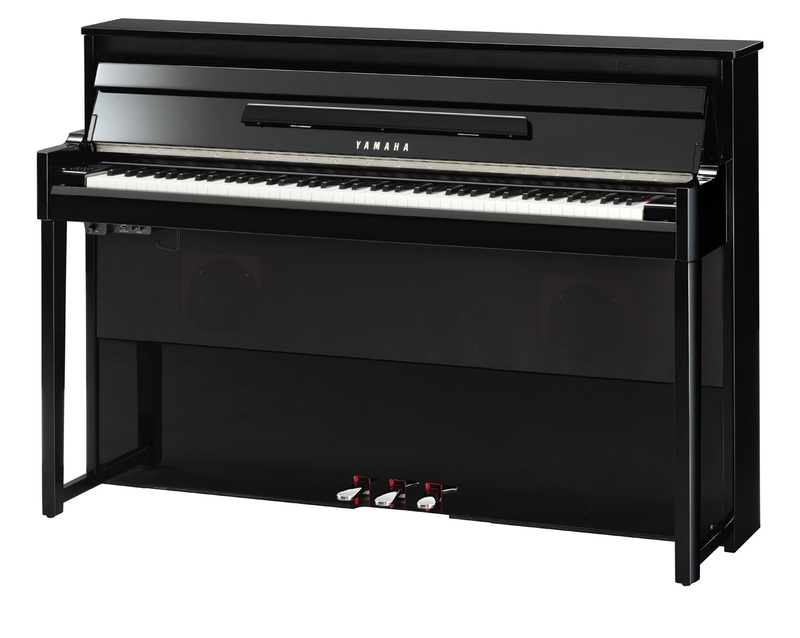 The NU1X also includes the same wide range of additional voices as found on the Clavinova CLP685. If monitoring on headphones the sound is optimised binaurally (CFX only) to further enhance the realism. Alternatively, an on-board amplification system [(2 x 45 watts, 2 x (16cm and 1.9cm)] has been carefully engineered to emulate the acoustic properties of the soundboard and casing of the original instruments. The design aims to re-create the “presence” of an acoustic piano. The NU1X features a traditional acoustic upright hammer action. But this has been modified to give an even more grand-like feel than that of the NU1, and improvements have been made to the velocity curve of the sensors giving a more controllable dynamic range, especially when played lightly. 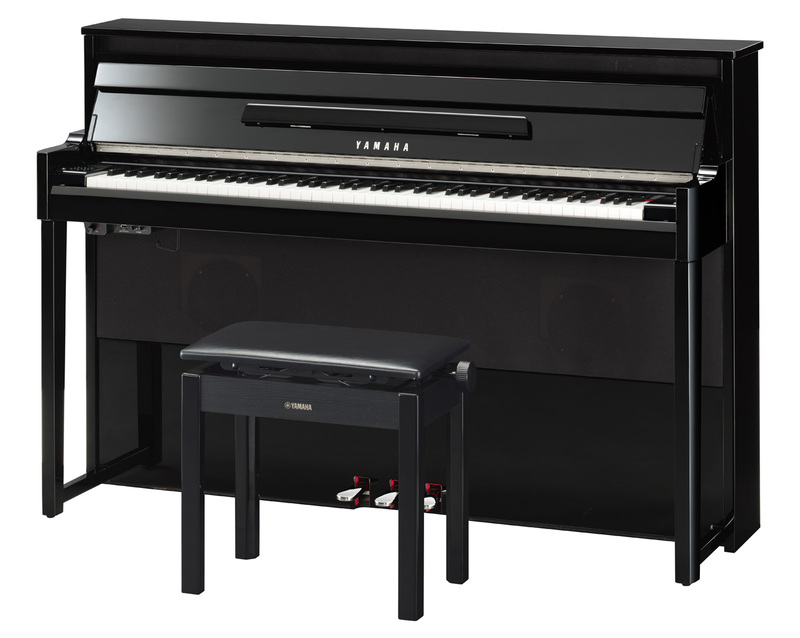 Yamaha offer two finishes for the NU1X – polished ebony and polished white. The US MSRP is $6,999.99.